Many times, we find ourselves turning what we have a passion for into a career. This is exactly what happened to Ashley Younger. After volunteering with CARE, Central Arkansas Rescue Efforts for Animals, for 7 years she decided to jump completely in and start working full time with them. Now, Ashley Younger is the Executive Director of this Non-Profit Organization. Through this organization, Ashley has been a part of the mission to Rescue and Re-home pets in Central Arkansas. She has had the opportunity to help start the Paws and Prison Program to help train rescued dogs to be obedient. Every eight weeks, CARE sends 14 dogs to this program to help them be trained. Since 1998, CARE has saved 4,000 dogs and cats along with sterilizing 11,000 pets. Ashley has also started the Paws at the Net tournament. This year will mark the second year this tournament is held. This tournament will take place on August 11th - 13th at Rebasmen Tennis Center in Little Rock, Arkansas. With over 100 players signed up for the tournament, CARE is excited to share their mission and vision with everyone who attends! When asked why she had a heart for helping these animals, she explained how Lola, her trusted pup that she rescued, was the reason she stayed sane through law school. She always knew she had a warm furry friend to come home to after low hours of studying. 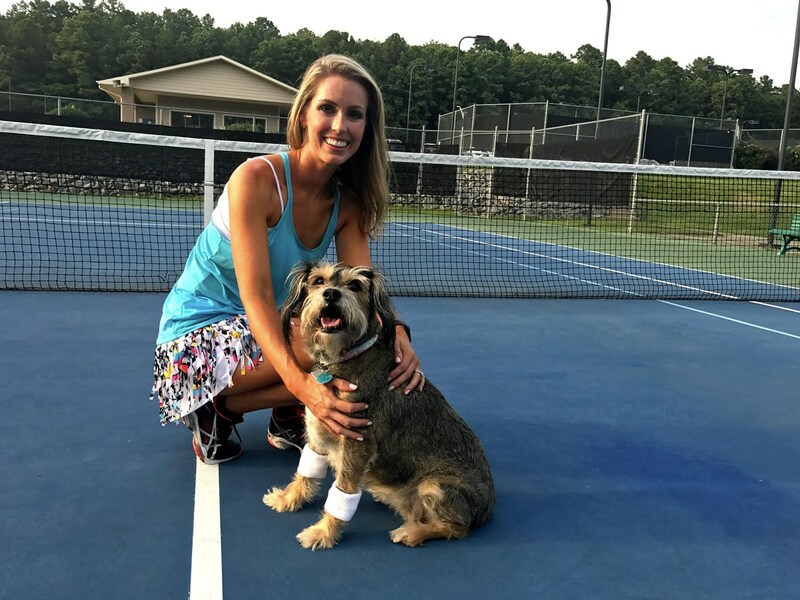 Through the busy life that Ashley lives between family, friends, and CARE, she finds herself at the tennis courts to relieve stress. When asked why she plays, she said it’s important to keeping her sane and healthy. Ashley started playing as a child and is still playing tennis today. USTA Arkansas is very proud of Ashley for all of her hard work that she has done in the community to make a difference! We would like to thank Ashley for being a Champion on and off of the court! Do you know someone making a difference in the community? Submit their name and story by clicking here!